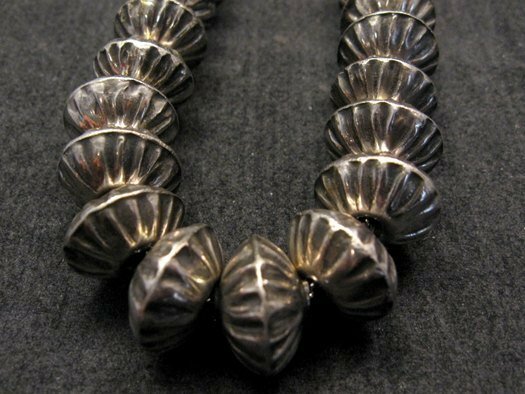 This distinctive Native American silver fluted sterling silver beads necklace was handmade by award winning Navajo artist, Orville Tsinnie. 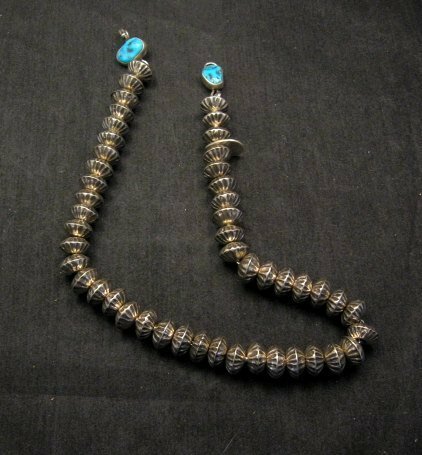 Every bead was hand made from scratch out of sterling silver. 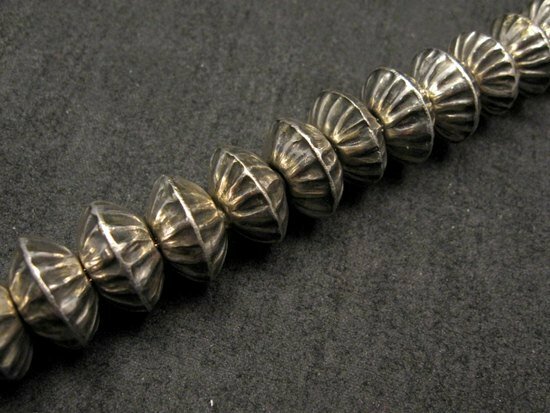 The heavy silver bead necklace is a perfect example of Orville's traditional style. This necklace looks great alone, layered, or with your favorite pendant. 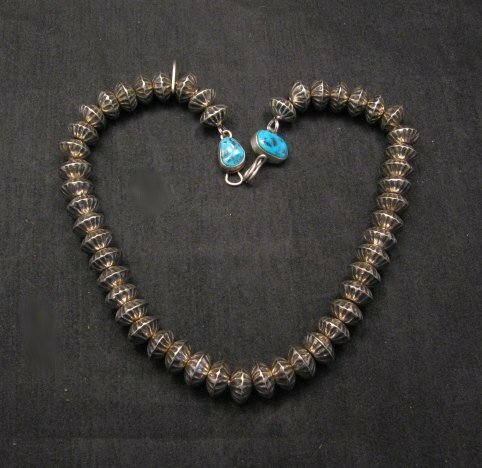 The beads measure about 1/2 inch in diameter and there are a total of 48 beads. 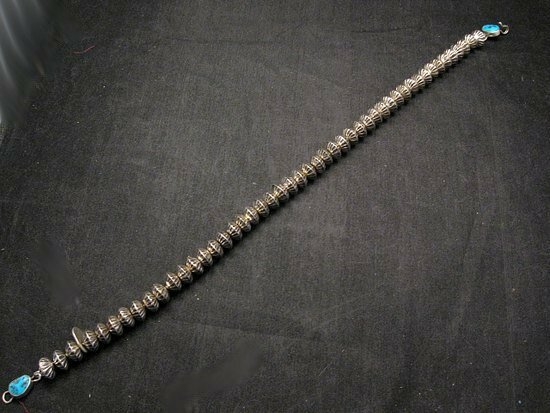 The beads are cut, stamped, fluted and assembled all by hand by Orville. 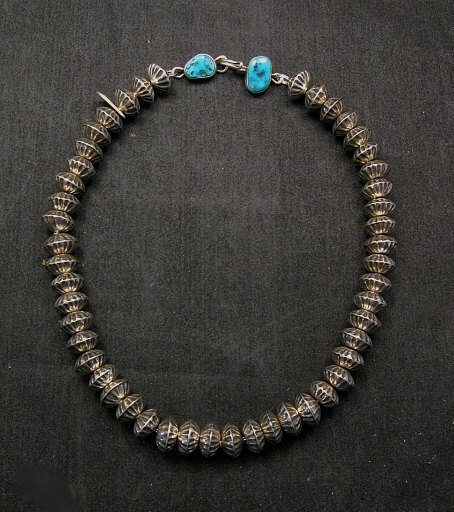 The necklace is finished off with two natural Kingman turquoise stones, one at either end of the necklace and there is a heavy duty hook & eye closure. 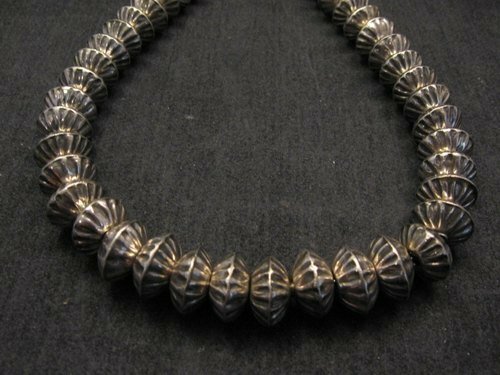 This is one of Orville's signature stamped fluted bead necklaces. 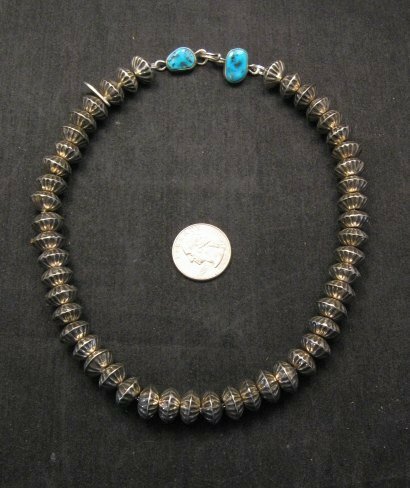 The necklace measures a bit over 17 inches long and weighs 68 grams. 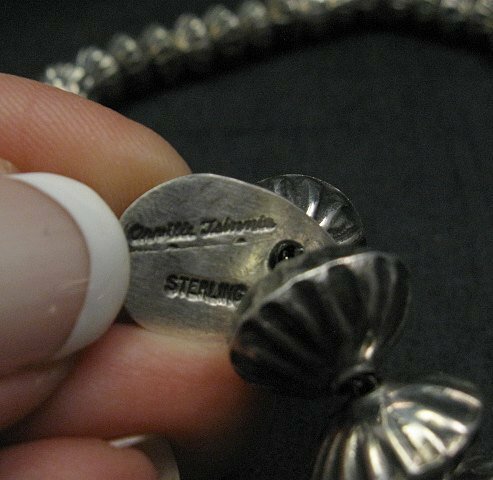 There is a sterling silver tag with Orville's hallmark on it. Brand new and in perfect condition. Gift Box and Certificate of Authenticity included. 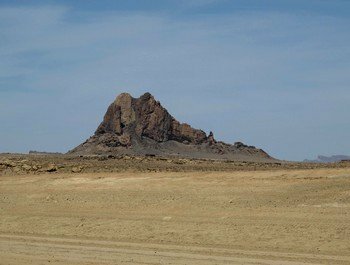 Purchased directly from the Orville Tsinnie at his studio in Shiprock, New Mexico. Regretfully, Orville Tsinnie passed away on May 23, 2017. He will be deeply missed. 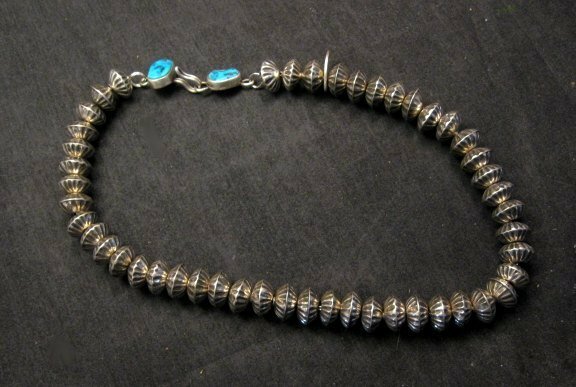 We purchased this necklace in person from Orville a few months before his death. 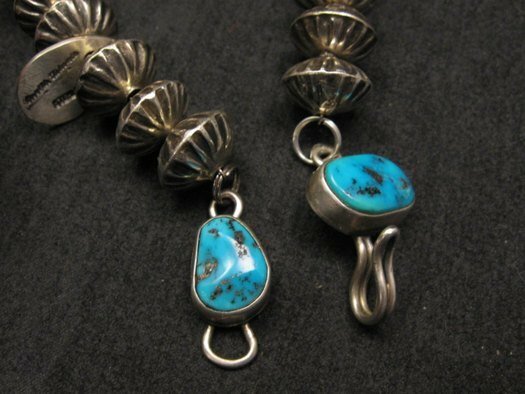 Don’t miss the opportunity to add some Orville Tsinnie jewelry to your collection. 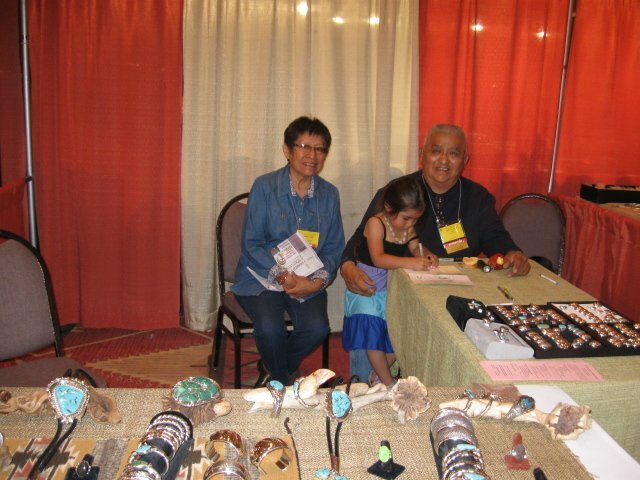 Orville Tsinnie was a master Navajo silversmith who had been making jewelry since the 1970s and had won numerous awards, including a Lifetime Achievement award from the Indian Arts and Crafts Association (IACA), an honor that brought well-deserved recognition to this fine American Indian artist. The level of craftsmanship in Orville's work is superior. His designs are flawlessly executed, his soldering technique very clean, and his finishing and polishing meticulous. 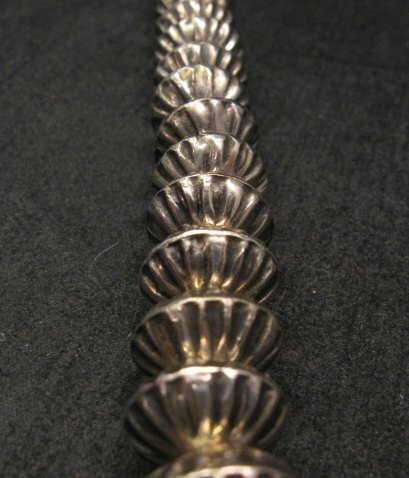 This careful attention to detail sets Orville's jewelry apart from many others and his work is very collectible.